This is my second go-around with the Hoka Oneone Challenger ATR series, having run in version 2 of the shoe last winter. I loved them before, and this next version did not disappoint! 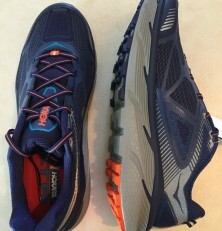 As a reminder, they are an all-terrain, neutral, and pretty well-cushioned trainer. Previously I liked them as a winter trainer, as they could handle roads and trails and, although not specifically stated to be, seemed pretty weather-resistant. 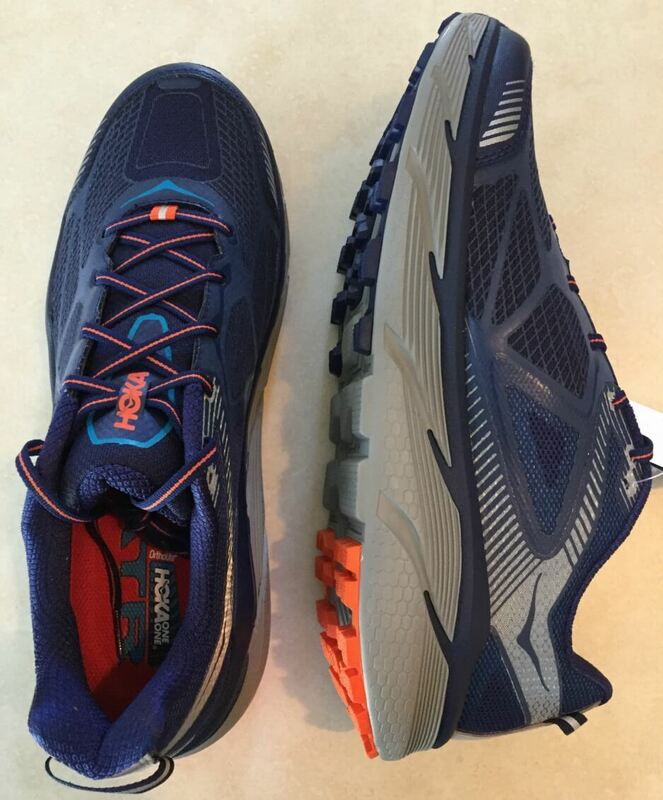 The thicker soles also help you stay above a lot of messiness (puddles, snow, mud, etc). Unfortunately I didn’t get my hands on these until after winter was over, but they have proved to be just as versatile in all other ways. While I can take them for smooth rides on paved roads and sidewalks, where they shine is just about everywhere else. 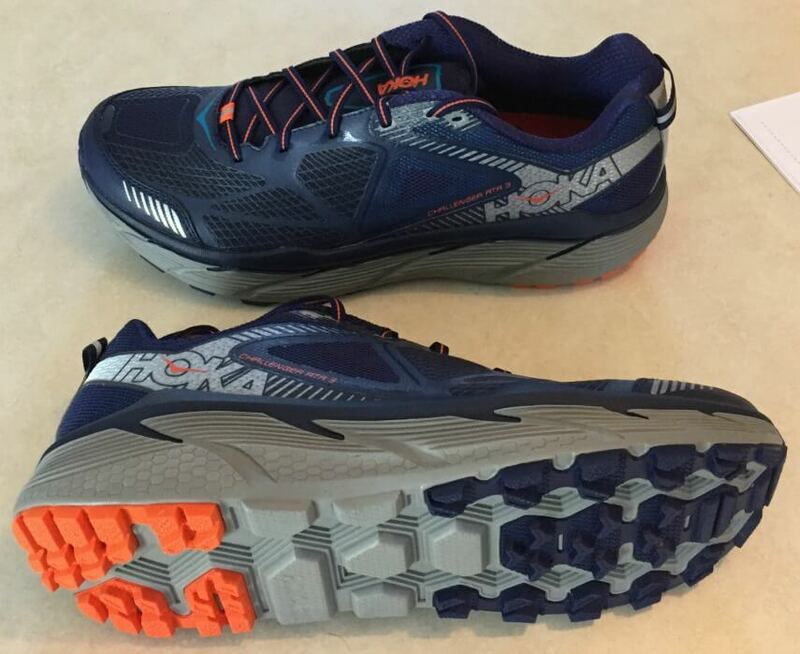 They take gravel roads, grass, and trails by storm–they remain very comfortable throughout. Even on paved roads I tend to run on the gravel shoulders if and whenever possible, and these of course still feel great then. I really like these shoes a lot and will definitely make more of an effort to get another pair prior to next winter for my go-to shoes most days. 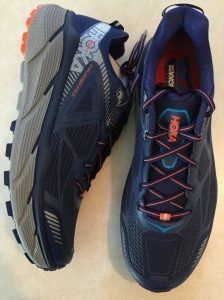 However, even in nicer weather these are a superb shoe for grinding out gravel and trail runs. 71 miles on these to date so far at time of review. Heel-to-toe drop: 5mm. Men’s size 9 weighs 9.5 oz.